Sometimes we are confused, depressed and insecure, this is not what God wants for us. Lance Hahn has given us a book that will help us. We need to understand that God created our minds to give us a better plan for using our minds. Lance give us a method of changing our direction to follow, to gain what is there for us in following God. He shares some stories and gives scripture to help us. 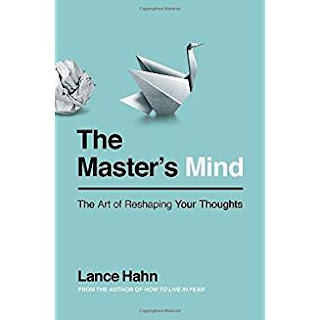 This book shows the way our minds need to be directed and offers help with temptations, where our thoughts should be and to rely on God for help in all we have problems with. I think this book will help us all to condition our thoughts to the way God want for us and to help us in our everyday life. God doesn’t want us to follow the wrong path, but sometimes we follow our own thoughts and end up at the wrong place. It can be used in Bible studies and Bible discussion groups, make a great book for Sunday school class. It defiantly will make you stop and think about what you are reading.